When we think about plants associated with old Southern home places, magnolia and wisteria come to mind. 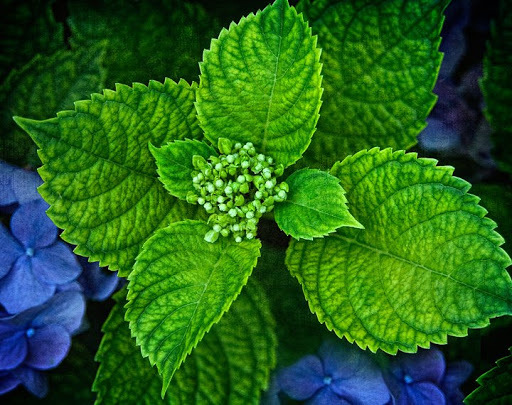 Another plant that is very familiar is hydrangea. This example is in full bloom just off our back deck. I’m not sure if I enjoy the blue and purples blooms better than the beautiful foliage.